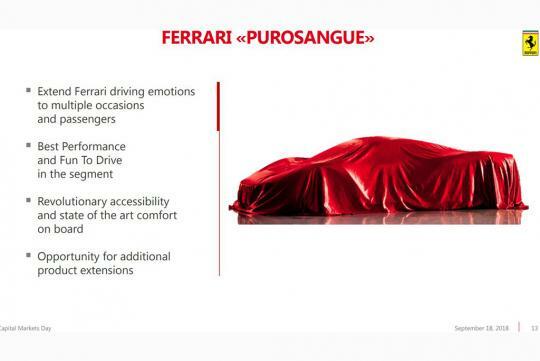 Ferrari has revealed some new information about its future product lineup at its Capital Markets Day event. 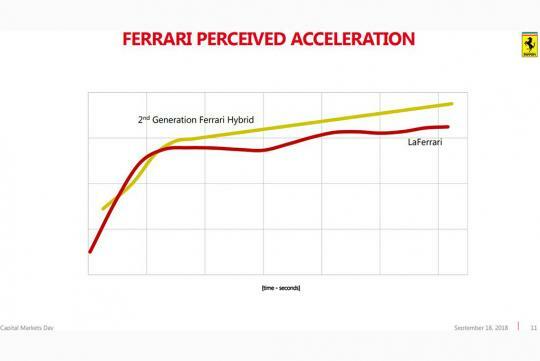 The most interesting news of them all is the confirmation of a new LaFerrari. No dates were given on when it will be ready but they did say that it will be feature state of the art technology and will with the help of the new hybrid system, it will go faster than the LaFerrari. On the topic of hybridisation, the company is now fully embracing hybridization as the automaker revealed that approximately 60% of its vehicles will have a hybrid powertrain by 2022.  It also confirmed that it plans to launch 15 new models across the range between 2019 and 2022. Customers can expect “significant increase in the average retail price.” for these new cars. 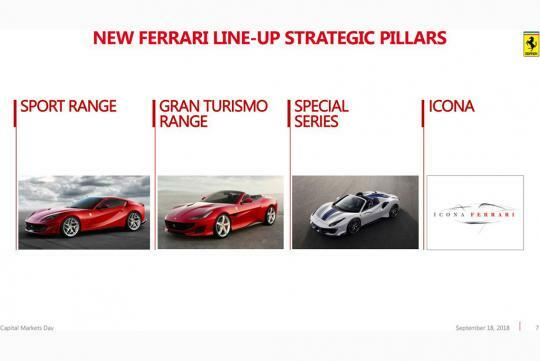 Moving on, Ferrari has classified its range of cars into four “strategic pillars”, slightly similar to how McLaren has done so with its Sports, Super and Ultimate Series. 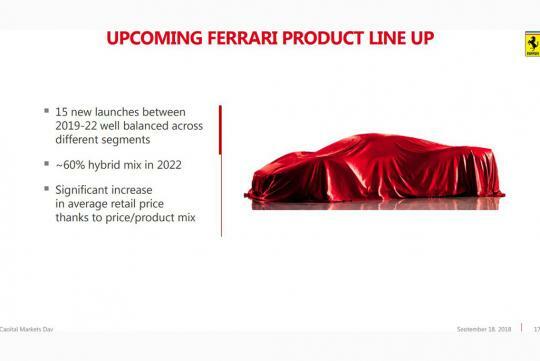 The first of the series for Ferrari is called the Sport range and includes “two tier mid rear engine product range” and a “full hybrid range by 2021.” The new 488 replacement will also fall under this range. Moving on, one will find cars like the 488 Pista in the Special Series range where they will be more powerful than the cars they are based on. Icona range cars will include special limited-edition cars like the recently announced Monza SP1 and Monza SP2. 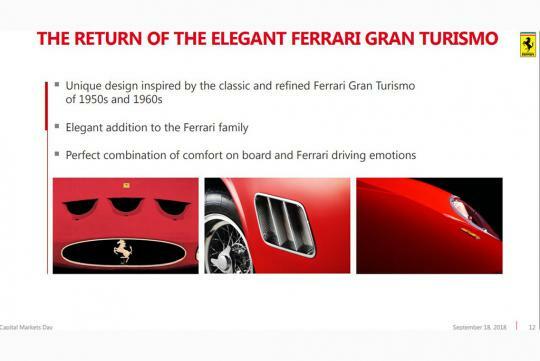 These cars are “iconic Ferraris reinterpreted with innovative materials and state of the art technologies”, like how the SP1 and SP2 were based on the 812 Superfast and then restyled with inspiration from the 750 Monza and 860 Monza. 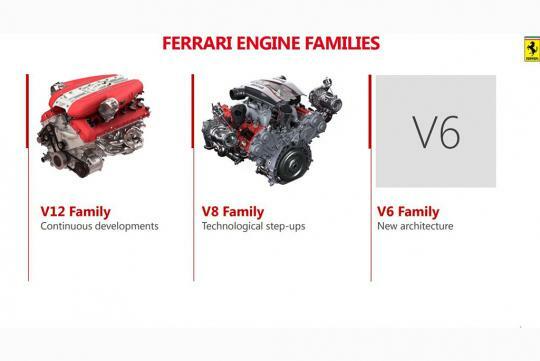 Lastly, the italian company confirmed plans for a family of V6 engines but did not elaborate much on where it will appear in. V12 will still be alive, that's great news with everyone downsizing their engines.